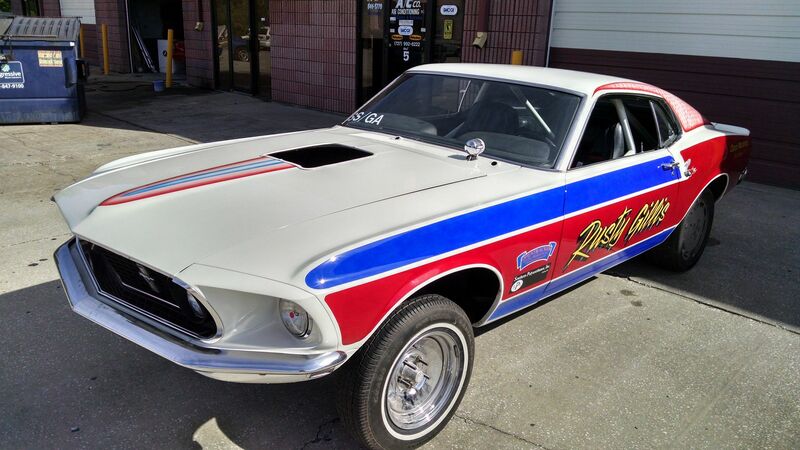 Mustang is back at the shop. 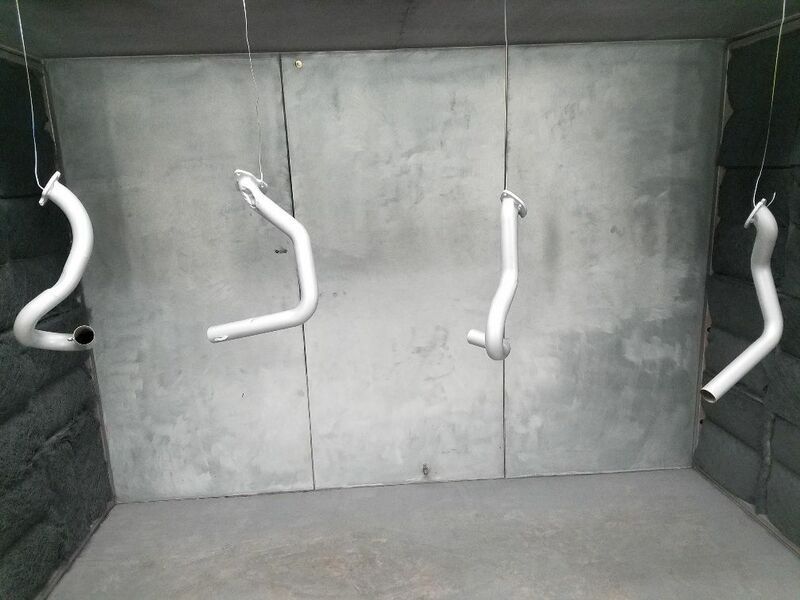 Need to do a lot of work getting it ready to race in A/SA or B/SA. 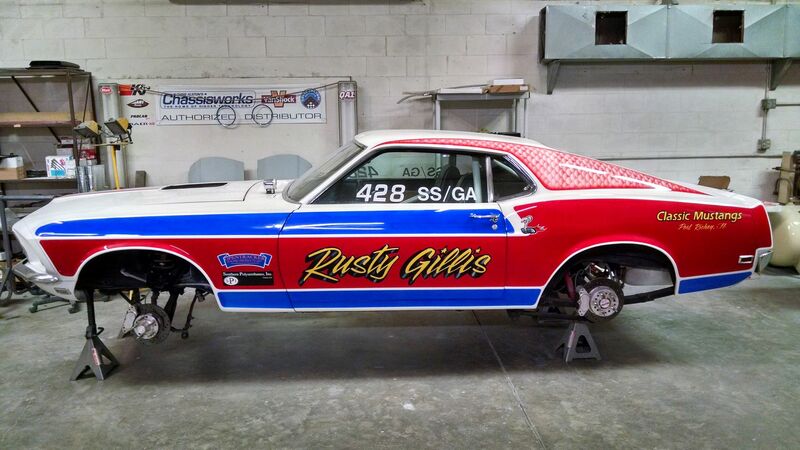 The 428 CJ will be on the dyno later this week. I painted this in 2005 using SPI clear and it has never been waxed. It has been in an enclosed trailer for 6 years in the Florida heat. I wasn't sure what to expect when we unloaded it. After washing it the paint still looks great. Rusty, I love the aerodynamic wheels on the back end...us Ford guys take advantage of all the latest technology! 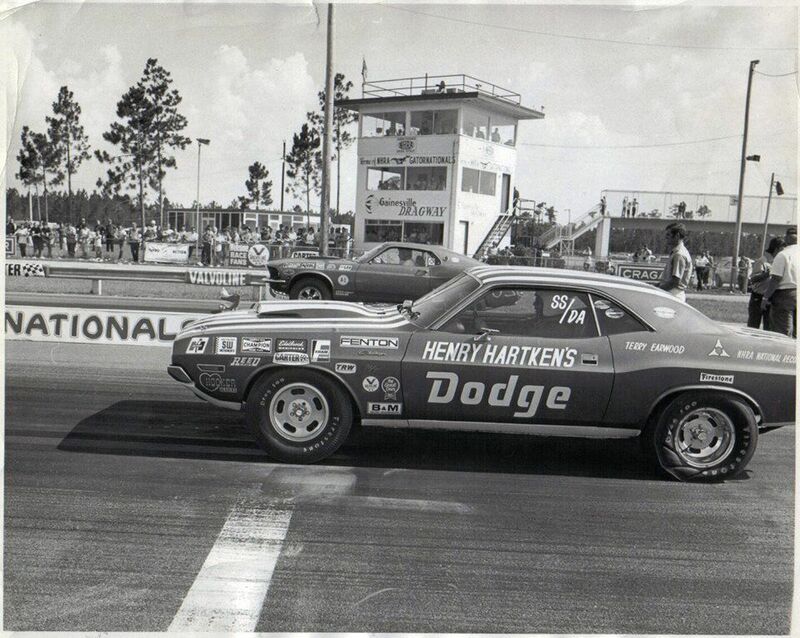 This was the first race after I turned it into a Super Stocker in July 1971 before paint. Picked up 12 hp with Harland Sharp rockers. Peak hp was at 5850 rpm now it has 512 at 6200 and 509 at 6500. 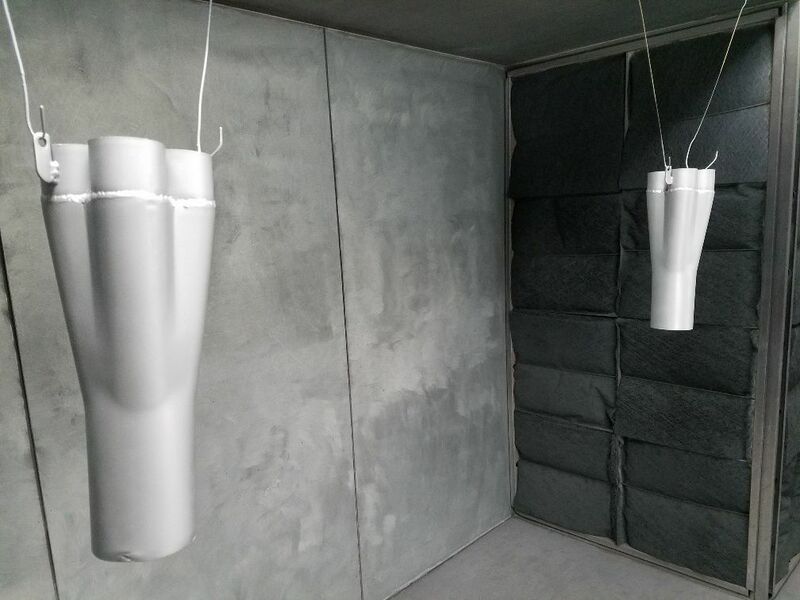 We will be testing the PI aluminum intake next. Cool I have never seen that one and it was taken in 1971. 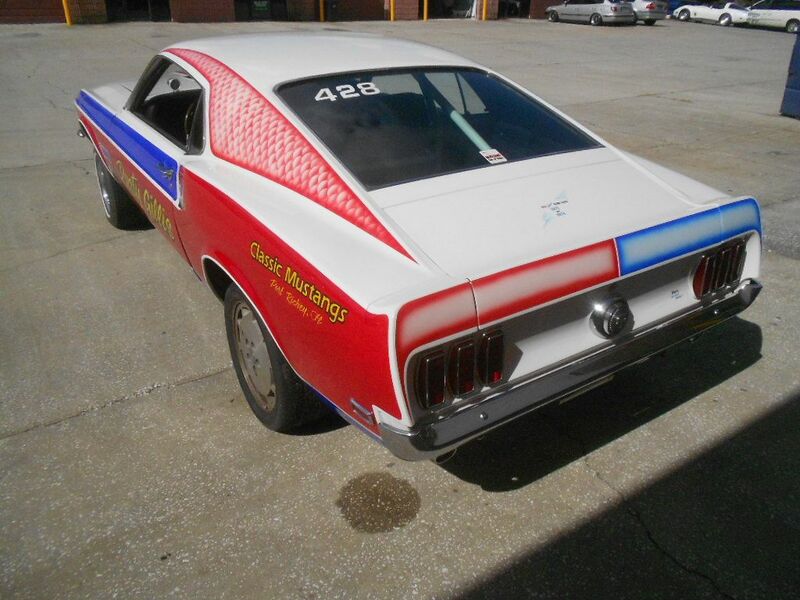 I had to have the quarter scoops added before I could race at an NHRA event in 1972. 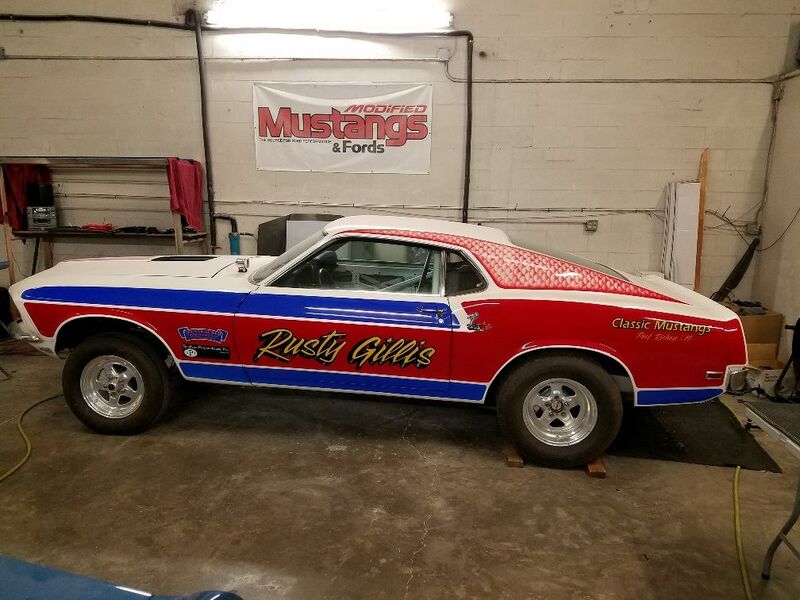 I bought this Q code 428 Mach 1 body that was used as a Boss 302 test car from Hubert Platt in 1970 and July 1971 turned it into a SS/GA that set the NHRA National record twice. 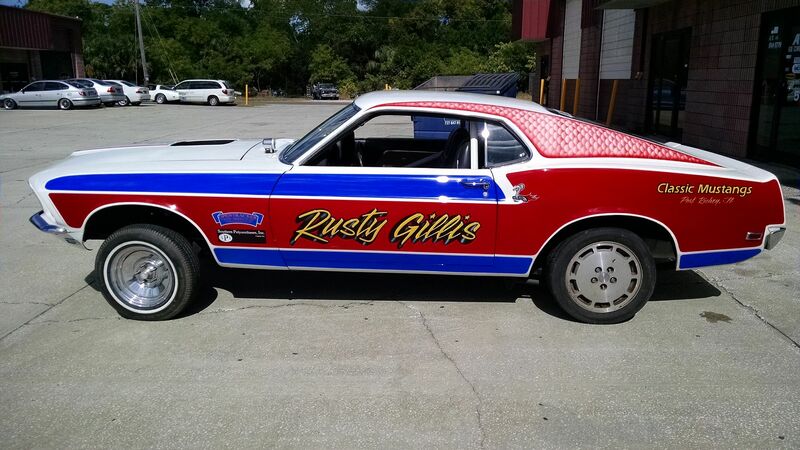 I quit racing it at the end of the 1974 season. I painted it in my shop in 2005 close to the way it was raced in the 70's. 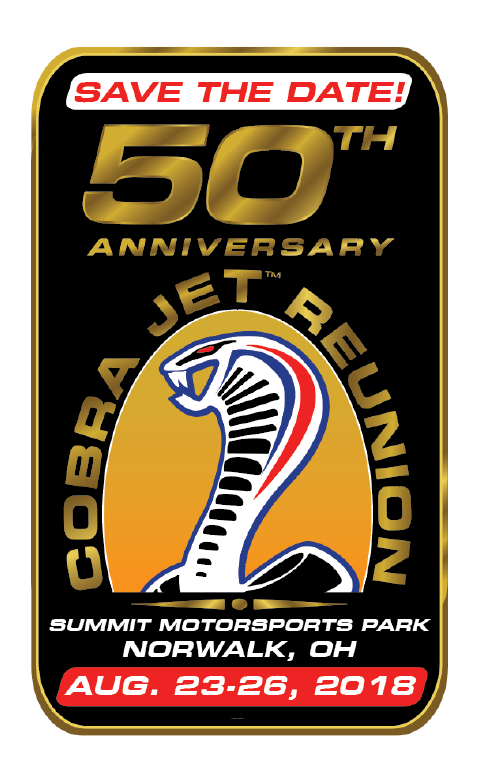 At this time it is being updated to race in B/SA and will be at the 50th Cobra Jet Anniversary Reunion in Norwalk Ohio. 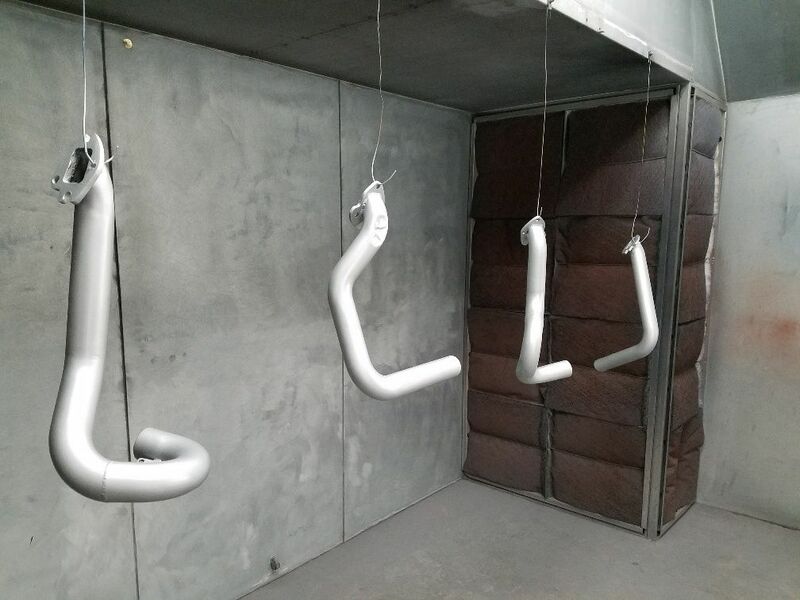 This week in my spare time I sandblasted and painted the headers. Pretty neat car. I worked on the stick shift test rollers at the end of the final line at Dearborn Assembly when that car was built.